The largest pallet/crate manufacturer and remanufacturer in the Lincoln area. 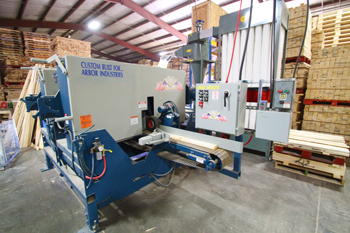 Customer Service is the driving force behind Arbor Industries, Inc. Welcome to Arbor Industries, Inc.
Arbor Industries, Inc. is located in Lincoln, Nebraska and is the largest pallet/crate manufacturer and remanufacturer in the Lincoln area. Since 1988 we have focused on providing our customers (large or small) with an economical quality product and outstanding customer service. Thank you for visiting our site and please contact me if you have any questions or would like a quote. We recondition standard and custom sized pallets or can build a pallet with used lumber. Get a quote.